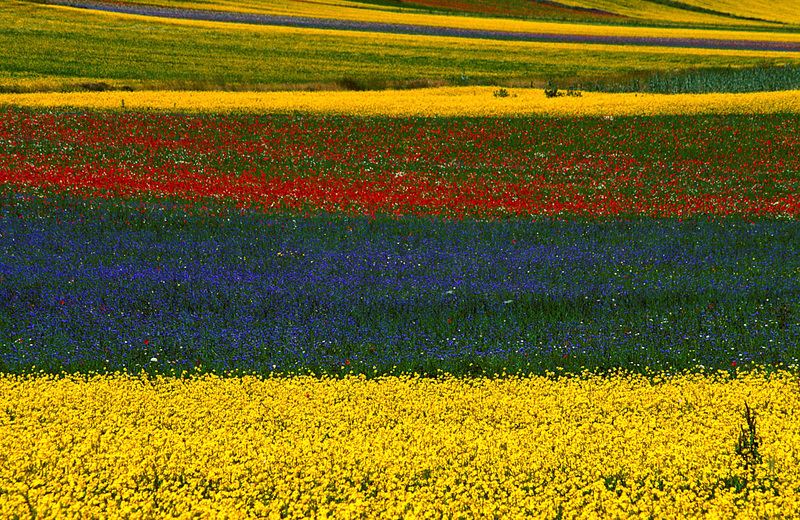 Between late May and mid-July, the plateau of Castelluccio becomes a natural spectacle now known all around the world. 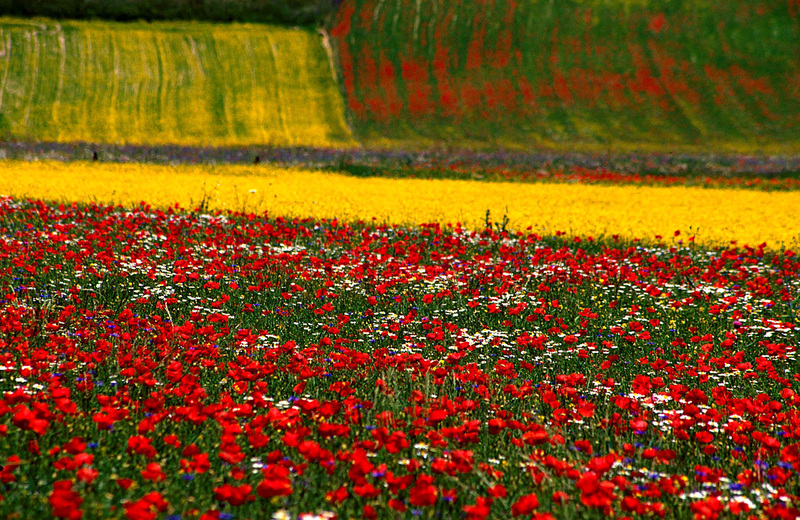 An explosion of colours breaks the chromatic monotony of perennial meadows and pastures: the green turns yellow (wild mustard and buttercups), red (poppies), blue (cornflowers), purple and white. 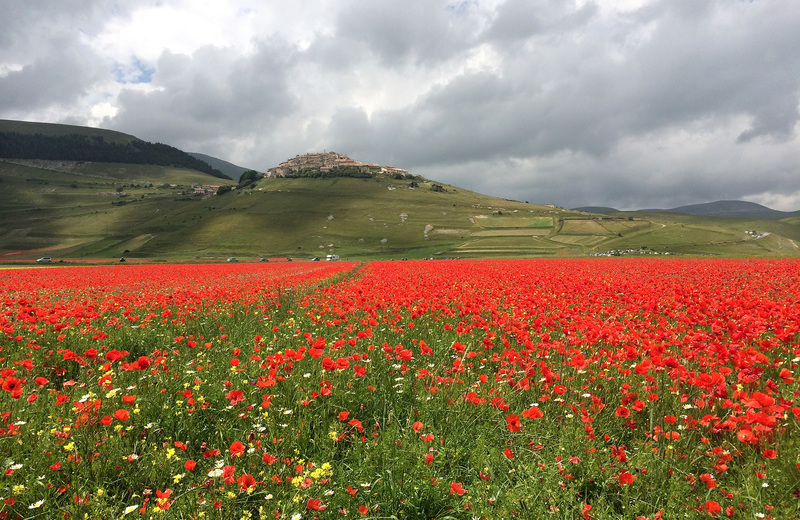 Castelluccio di Norcia is a small village at an altitude of about 1400 metres, nestled atop a hill overlooking the vast plateau where the famous lentil is cultivated. It is the flowering of the latter, along with other species, that makes for a truly exceptional show. 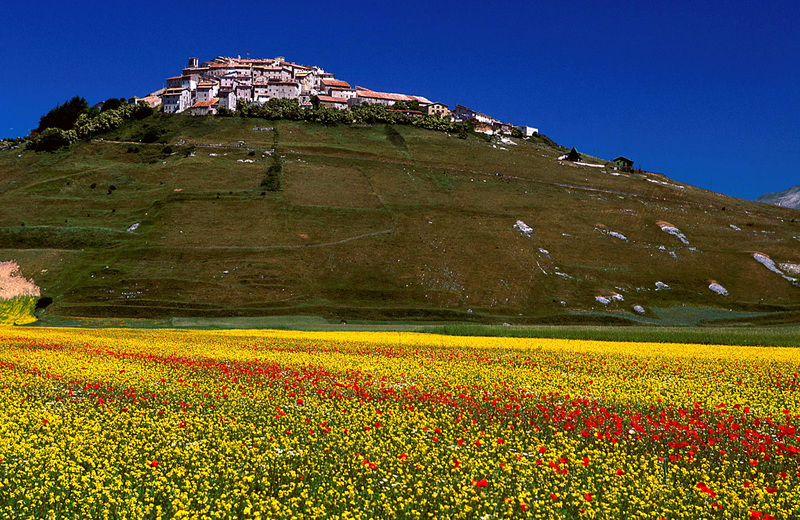 Although the Festa della Fioritura (Flowering Festival) falls on the last Sunday of June, there is no precise period to witness this natural spectacle, because everything depends on the climate; and it is not about a single flowering, but several that follow one after the other every 20, 30, 40 days as the sun and rain decide.